Symi Connection - Ferries, Itineraries, connections, availability, prices to Greece and Greek islands. 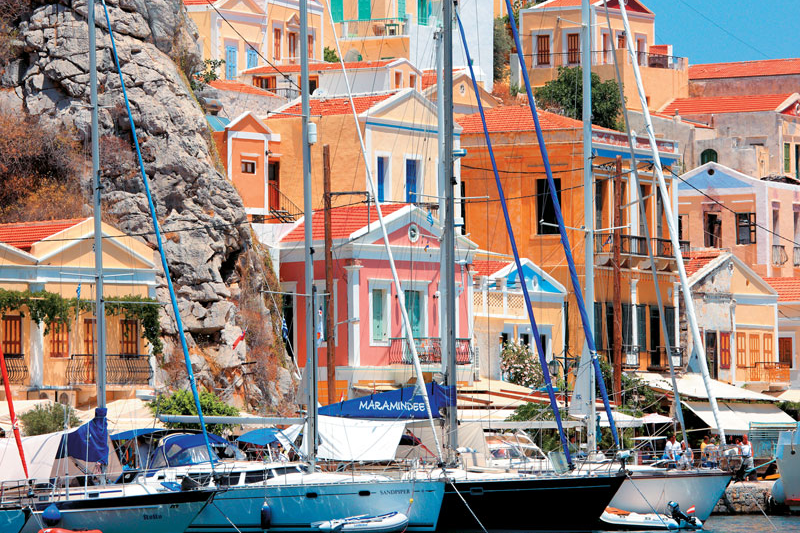 Symi island greek ferries e-ticketing. Symi belongs to the Dodecanese islands complex and lies 24 nautical miles NW of Rhodes and 255 nautical miles from the port of Piraeus. The highest point is Mountain Vigla at 616 metres. 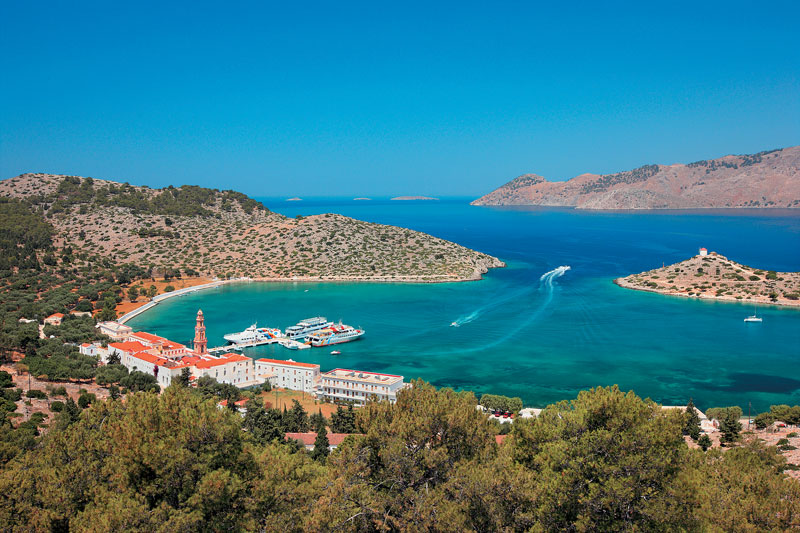 The island is very close to the coast of Asia Minor, just 5 miles from Alopos. It is not a very big island, only 67 square kilometres. The majority of the land is covered in rocks. 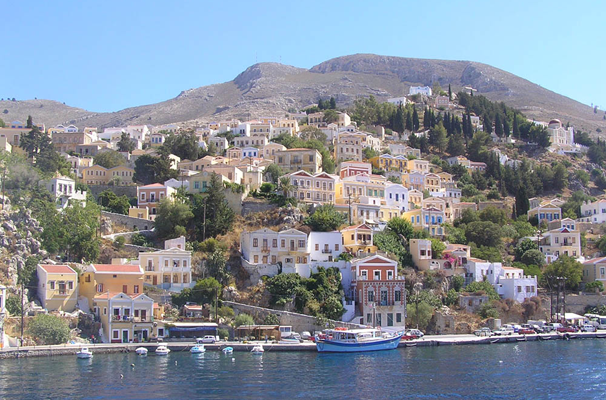 Two settlements form the town of Symi : Chorio (Village) and Gialos ( Harbour). Pedi, found in the bay of the same name and Nimporios in the bay of the same name, have a few inhabitants. There is also a big monastery complex, Panormitis, where around 30 people live and take care of the monastery.